This blog should not be used to report any wildlife emergencies or animal cruelty. Reports of this nature may not be answered in a timely matter. To report a wildlife emergency or animal cruelty, please contact your local council, RSPCA, ranger and/or police department. THIS IS A BLOG FOR MYSELF, a wildlife rescuer, educator and protector involved/a member of special interest group(s)/club(s) operating in Australia providing a service to rescue, rehab, release and educate members or the general public at their home/property, at events or on the internet via pictures, posts or video, WILDLIFE ORGANISATIONS/GROUPS involved with rescues, rehab and education. Myself, this blog and domain names, batsrule.info, batsrule-helpsavewildlife.info, batsrule.com, jamesrchadwick.me, wildliferules-helpsavewildlife.info, linked to this blog are non commercial, not a business or for making profit. This blog is used by me to document, link, bookmark, link back to on various social media sites for easy access, viewing and finding and to save copies of web pages as web pages disappear. I DO NOT CLAIM ANY RESPONSIBILITY FOR PICTURES, POSTS OR VIDEOS. THEY ARE COPYRIGHTED TO THE OWNERS AND I AM NOT PROFITING. FAIR USE NOTICE: The material on this blog is provided solely for educational and informational purposes. It may contain copyrighted material, the use of which has not been specifically authorized by the copyright owner. Infringement of copyright is not intended. The material is made available to help educate. It is believed that this constitutes a 'FAIR USE' of any such copyrighted material. example, as provided for in Title 17, section 107 of the US Copyright Law. The material is distributed without profit to those who would like to use such material for research and educational purposes. My views, expressions and posts are not endorsed by any wildlife rescue, rehabilitation group or organisation. 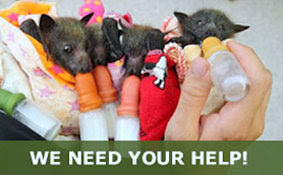 Donating to Australian Bat Clinic & Wildlife Trauma Center. A donation can be made via PayPal or direct deposit. On the right hand side of this page, donations-bats-and-wildlife-trauma-centre you will see a paypal logo to click on. 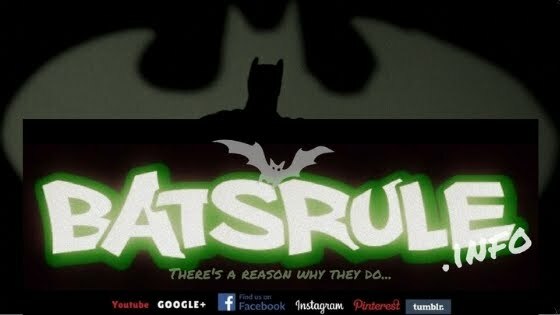 If there is a comment available on your paypal or direct deposit, please add BatsRule. BAT FACTS. Megabat / Flying-fox / Fruit bat and Microbats. There are over 1000 species of bats in the world-over 25% of the world’s species of mammals. There are approximately 100 species of Bats in Australia. Bats are found in every State and Territory in Australia. In South East Queensland, there are 33 species of Bats. There are two types of bats (suborders) Microbats and Megabats. Microbat remains date back 55 million years. All bats have eyesight, hearing and a sense of smell. Microbats echolocate to navigate and find their food sources that are mainly insects however some eat fish, spiders, frogs, birds and other bats. Vampire bats are only found in Central and South America and live on blood. Bats are good swimmers and many actually touch the water in flight they drink by licking their fur. Bats move around to different roosts depending on mating, food sources and migration patterns. Bats hang upside down by their feet because it is energy efficient. Bats invert to relieve themselves. Bats come in all sizes and weights from just a few grams to over a kilogram with wingspans of up to 2 metres. Bats can live up to 25 years longer in captivity. Megabats typically follow the bloom of the gum trees in their feeding and migration patterns. A Megabat may move up to 70 kilometres in a night foraging. That’s why they are such good seed and pollen dispensers. There are many excellent sources of information available about bats, however the following is a brief introduction to their special characteristics. Bats as we recognise them today have been on earth for at least 55 million years. Their evolutionary origins are a subject of debate as fossil records are rare due to their delicate bone structures. Bats are the only mammals capable of sustained flight and are perfectly adapted to achieve this. Microbat, Microchiroptera are small, mainly insectivorous bats which navigate and feed using echolocation. The smallest is the bumblebee bat from Thailand weighing 1.5gms. It is believed that microbats evolved from a shrew-like ancestor being born blind and without fur. In Australia we have approximately 63 species of microbats, that live in a range of habitats including tree hollows, caves, roofs and walls of houses, and change roost sites often to avoid predation. They give birth to a single young(some species have multiple young) through October to December. Microbat babies can be born up to one third of their mother’s weight, so when they become too heavy to be carried, they are left behind in the maternity colony. These colonies can consist of a small number of animals or several thousand. Greater broad nosed Microbats could be considered nature’s can of Mortein as they consume thousands of insects in one night. Although most microbats are insectivores, there are also some carnivorous species. Some larger species prey on smaller species and there is even a fish-eating bat that scoops small fish out of the water with its oversized feet! Microbats have a unique way of conserving the energy they need to sustain flight while feeding and echolocating. They are capable of going into what is called ‘torpor’ by lowering their body temperature which in turn lowers their breathing and heart rate. They can appear almost lifeless as they barely move and are cold to the touch. This happens frequently in colder months when food is scarce. The system known as echolocation is a highly sophisticated method microbats use to generate information about their surroundings. It is achieved by emitting high frequency sound waves through their mouth and nostrils, and listening for the echo bouncing back from surrounding objects. These can be solid objects they are navigating around or tiny fruit flies they are hunting to eat. It is difficult to imagine how microbat brains interpret this information to form a perfect picture of their environment. For example, the echoes bouncing back can tell them the distance from their prey, the size, shape and even the speed it is travelling. The sound waves need to be high frequency to get the detail back they require, so is above our hearing range. There are some very elaborate facial features on Microbats such as noseleafs that direct echolocations calls. It is truly an amazing feature and is the subject of a great deal of study. Different species have different frequency calls, thus specialised equipment known as bat detectors have been designed to record these calls and identify species. Our native trees especially the Eucalypts and the Melaleuca save their major nectar flows for 11pm to 2am and tho possums and other evening animals spread this nectar in the local area close to the parent tree, Bats are the only animals to pollinate the forest over long range areas. The Flying Fox hair is especially designed to trap the pollen/nectar for travel. If not for these pollinators up to 25% of our rainforest species of trees could be lost. Remarkably the Koala depends on 50% of its food source trees to be pollinated by bats. We often say “No tree no me” for Koalas. We now can say no me no tree for Flying Foxes. Where land has been cleared up to 90% of the regrowth can be linked to Bat pollination. Worldwide more than 450 economically important plants are known to depend on Bats. These include more than 110 used for food and drinks, 72 for medicines, 66 for timber, 29 for cordage, 25 for dyes 19 for tannins and 11 for animal feed. Wild varieties of many of the world’s most economically valuable crop plants also rely on bats. These include avocados, bananas, breadfruit, dates, figs, peaches, mangoes, cloves, cashews, carob, balsa wood, and durian. There are at least 6 families containing 58 species species of Microbats in Australia. These Bats are usually not viewed easily, they live and roost in many, and varied habitats depending on food sources and importantly maternity roost needs. Caves and Mines are a favourite for many of these species yet you could find them in your house, under bird nests, pool umbrellas, under tree bark, hollows in trees and under bridges. These bats consume great quantities of insects however; some specialists will eat small birds, fish, spiders etc. Bats can be found in every state and territory in Australia. In central and South America, there are vampire bats and bats that feed on a diet of frogs. Microbats worldwide are remarkable in their habitats, food sources and strategies for life. In Texas during the summer, tracking radar can pick up the Mexican free tail bats emerging from their maternity caves to eat the cotton moth feeding on cotton crops in Texas. If not for these bats, the cotton yields could fall by as much as 30%. We have witnessed firsthand fly outs of up to 33 million bats of an evening from the Bracken cave in Texas. Whilst these large fly outs are not as numerous in Australia fly outs of modest sizes, can be seen. If the chance presents itself, it is a sight not to be missed. A personal suggestion is not to look up with your mouth open. In SE Queensland, we have over 30 Microbat species represented including the Golden Tipped spider eating bat Phoniscus papuensis and the fishing bat Myotis macropus The Australian Bat clinic has unfortunately had to attend to just about all of these species over the past 6 years mostly as a direct result of human intervention. Flying-foxes are placental mammals. They are warm-blooded, deliver a furred (except for abdomen and under the chin) open-eyed baby and suckle their young. Twins are very rare. The gestation period is approximately 7 months and P.poliocephalus and P.alecto are born from late September through to November. The P.scapulatus are born in May and June. The baby has ”oversized” feet and an extra little hook on the thumb hook and toenails to aid in clinging to its mother. By also latching on to mother’s teat located in her “wing pit”, the baby is carried very securely for the first several weeks of it’s life. From birth until 5-6 weeks old, the baby does not have the ability to control its own body temperature. This is called “thermoregulation”. By clinging to its mother and being wrapped in her wings, the baby is kept warm and secure. The mother also keeps her baby scrupulously clean, using her tongue to lick and groom. Flying-Foxes live in large groups called colonies or camps while the Blossom Bats and Tube-nosed Bats are more solitary animals.